Having the best business credit cards available to them can help small business owners to enjoy greater flexibility so that they can purchase items or make payments when they need to do so. While there are relatively few business credit cards as compared to the number of consumer cards, business credit cards are used to spend more. For example, in 2015, 13.9 million business credit cards were in circulation in the U.S., which was about 4 percent of the total number. However, the cards accounted for $490 billion in spending, which meant that one out of every six dollars that were spent on credit cards were spent with business credit cards. If you are a small business owner who wants to find the best credit card for business, there are several important features to keep in mind when you are comparing business credit cards. What is the best business credit card? The best business credit card should not charge high rates of interest or high annual fees. The card should also allow you to restrict the categories of spending that your employees can complete so that they are unable to use the cards to purchase unauthorized items. The business credit card should also be integrated with your company’s accounting software so that purchase data can upload automatically into your software in the correct expense category. Finding the best business credit card that offers all these features can be difficult, however. Sometimes the best business credit card is a business debit card. How does the best business credit card work? Like consumer credit cards, the best business credit cards are credit-dependent. When a small business owner applies for a business credit card, the card company may check both the business’s credit and the business owner’s credit before approving the business. If the business has not been open for very long, or the business owner has marks on his or her credit, it can be difficult to be approved for a business credit card. If the business owner and the business are approved, the cards will be sent. They will have sixteen-digit credit card numbers and will be able to be used to make purchases or payments for the company. When the cards are used, the purchases that are completed will be paid for with a linked revolving line of credit. If the card balances are not paid in full every month, the business may be charged interest on the balances, and the balances may add to the company’s debt level. What makes a business credit card important? Having a business credit card can offer businesses several benefits. Businesses may be able to make purchases when they are needed instead of having to wait for a purchase and approval process to be completed. For example, many companies have a transaction process that involves employees completing requisition forms. The forms are then submitted for approval. Once an approval is issued, an invoice for payment for the item will be issued. Finally, a check will need to be issued to pay for the item. According to the NAPCP, the transaction costs that are involved with the traditional purchasing process are the same no matter how large or small the item is. This means that the transaction costs for day-to-day expenditures will be just as great as the costs for big-ticket items. Using a credit or debit card to avoid this traditional process can help businesses to save time and money that they might otherwise spend on the transaction costs. Some problems that are associated with using business credit cards include that many of the cards charge high rates of interest on the balances, meaning that they will add to the debt. Most credit cards can also be used to purchase anything, making them targets for employee fraud and abuse. Normal credit cards for businesses also cannot be shut down remotely. A debit card for business may be a better choice for businesses. 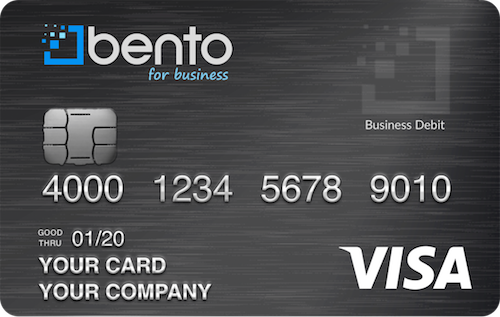 The Bento for Business Visa debit cards do not require credit checks since they are not credit cards. This means that a business owner will not need to worry about going through a credit check for approval. Debit cards for businesses are linked to the businesses’ accounts instead of revolving credit lines like the best business credit cards. When purchases are made with the cards, the amounts are subtracted from the accounts instead of being added to credit lines. Since the money is the businesses’ own money, the businesses will not add to their debt or must worry about paying interest on their purchases. Debit cards for businesses may be used to make purchases at most businesses and vendors in the U.S.
An important consideration for small businesses when they are trying to manage their expenses and control their spending is to recognize that fraud detection is important. Fraud can happen to anyone. Many small businesses fall victim to internal and external thefts each year. The Association of Certified Fraud Examiners reports that small businesses suffered median losses of $200,000 per fraud scheme, which was nearly double the amounts that were lost by large businesses. The fraud cases in the study resulted in more than $7 billion in losses, and the ACFE reports that the number of cases was a fraction of the total that occurred because many business fraud cases go unreported. To check your business’s risk of fraud, you can use our free fraud risk calculator here. The best business debit card can help your business to simplify your accounting process, manage your expenses and prevent fraud. The cards from Bento for Business have spending and expense controls built in. You can decide how many cards that you need for your employees and restrict each individual card according to the types of purchases or payments that the employee needs to complete for his or her job. For instance, you can restrict the ability of a person who must drive for his or her job to only buy gasoline at the pump. If the employee tries to make other purchases, the attempts will be denied at the point of sale. The best business credit card is a business debit card. When you choose the best business credit card at Bento for Business, you will deposit money into an account that is insured by the FDIC for up to $250,000, giving you an added layer of security. From the account, you can determine how much money that you want to make available on each card. You can turn the cards off or on whenever you want by clicking a button, which can allow you to turn off a card when you spot problems or to turn it off when an employee is not working. Comparing business debit cards from Bento to credit cards demonstrates that the cards may be more beneficial to small businesses. Having the best business debit card can help you to prevent fraud at your company while giving you greater control over your expenses and spending. An example of how the Bento cards might work in a business can help you to understand how the cards work. For a business that has a few employees, including one that manages the office, another who drives each day for his or her job and another that is responsible for IT needs, the business owner can choose to order three cards for each employee. The office manager’s card can be restricted to purchases of office supplies and payments to vendors. The IT manager might be able to pay for the office equipment leases and to order software. The employee who travels would be able to purchase gas at the pump but nothing else. If any of these employees tried to purchase other items with their cards, they would not be able to do so. Bento for Business can work for teams of all sizes and from any industry. The ability of business owners to determine the types of purchases that can be made can make the cards individual. In large companies, numbers can be assigned to departments so that you can track spending by the department instead of by the individual. Bento for Business has thousands of customers across the U.S. and is a valued partner because of its efforts to help businesses to manage their expenses more effectively while reducing fraud. The company enjoys great reviews, including a perfect rating from Capterra. 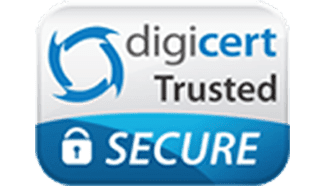 Bento uses 256-bit SSL encryption technology and Digicert so that your purchases will be secure. The company offers a 60-day free trial so that your business can determine whether the business debit cards will work for you. To start your free trial or to learn more about comparing business debit cards and comparing business credit cards and how they might work for your business, call 866.220.8455.